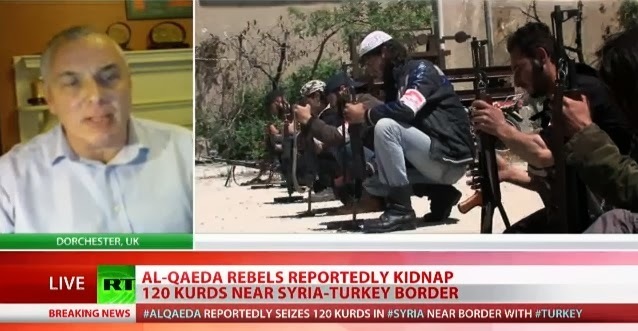 A Syria update, months after the Obama administration was unable to obtain approval to bomb the Syria leadership, it seems no one is paying attention anymore to what the rebels, associated with the Obama backed rebels, are doing, the atrocities being committed that should not be ignored. Two days ago it was reported that they abducted 120 Kurds in a village near the border with Turkey, including women, and have been taken to an unknown location. That news report will be shown in the video below the article. 80 is the number now, but that is expected to rise as the Syrian Army takes over the rest of the town which has a population of 20,000. Some weren’t killed, they were instead kidnapped to be used as human shields against the Syrian military that went in to try to free the civilians. The plan was to once again place the blame on the Syrian military and Syria’s leadership.